In the wake of the Cincinnati shooting from Thursday, which left three people dead and several more wounded, local and federal lawmakers wasted no time in screaming for more gun control. In fact, long-time anti-gun Senator Cecil Thomas was literally on the scene before the bodies were moved, making his case for universal background checks. At that moment, Thomas did not know just how foolish he would look just hours later when Cincinnati Police Chief Eliot Isaac announced that the shooter had purchased the pistol used in this situation ‘legally’ –- implying that the shooter underwent a background check. So while Senator Thomas was demanding action on his legislation, S.N. 283, we now know that even if his gun registry bill had been in effect, it would have done nothing to stop this shooting! Gun owners may be tempted to fall prey to the emotional pleas for gun control following a shooting, deciding that they should ‘give up a bit of their freedom’ if that would reduce violent crime. In each of these shootings, spanning a decade, the shooter passed a background check. In the case of the Orlando nightclub shooting in June of 2016, Omar Mateen went through a background check to buy his firearms and another to receive a concealed carry permit and then waited three days to pick up his handgun, all before killing 49 people in a terrorist rampage. On top of that, the FBI had been keeping tabs on Mateen for almost a year. None of that stopped Mateen. Just like background checks failed to stop ANY of the shooters in the tragedies above. Gun grabbers in the media, state legislatures, and Congress know this, but refuse to talk about it as it simply does not fit their agenda of disarming law abiding Americans. Gun owners need to understand that background checks are a thinly veiled attempt to create the ultimate registry of guns and gun owners — a registry that could be used to try to seize firearms down the road. 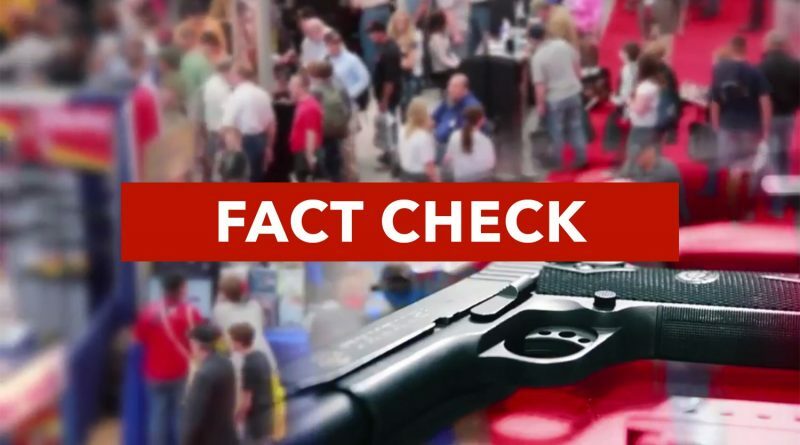 So the next time a talking head on the news or your local lawmaker tries to guilt you into accepting ‘Universal Background Checks’ in response to a shooting, remember that they have done virtually nothing to stop crime in ten years. ← Pelosi Promises Gun Control Push in 2019!